Want a great way to connect with your customers? At Motion Media, we take pride in supporting each of our customers to develop the best campaign we can, therefore creating a resounding success! Place your message on our moving posters to create a strong impact for your brand. Similarly, you can take advantage of the the time passengers travel to their destination to tell your story. Marketing at its’ best, developing knowledge of your products or service. 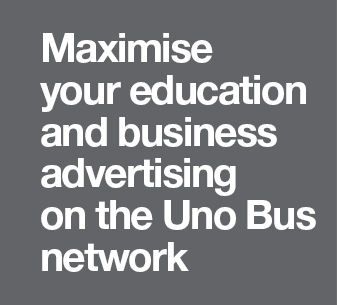 UNO buses carry 5 million passengers each year on 11 bus routes; making our buses perfect for a wide regional campaign coverage with impact and creative advertising space up to 3m2, ideal for your promotional needs. Buses cannot be missed or thrown away, therefore your message will be seen! You get exclusivity because your business deserves it! For a no-obligation discussion, we are happy to meet up and chat. We have an huge range of advertising opportunities which cover most budgets, furthermore, we are happy to help you to create the best campaign ever!